In the second part of this mini-series of articles on keeping LED stage lighting rigs on the road, On Stage Lighting looks at a typical moving LED wash fixture and considers common maintenance tasks and repair practices. In the first article in this series, we took a look at some distinctive traits of LED stage lighting fixtures in 2019 when it comes to keeping them running. This included considerations for Switch Mode Power Supplies (SMPS), LED driver circuitry and the LED light sources themselves. Today we are going to consider a typical LED moving wash light and use it as a guide to other LED lighting fixtures. In this case, I’ve chosen the Chauvet Rouge R2 Wash as it is a commonly available fixture in a middle-of-the road price bracket, one that is stocked by hire and production companies, and also owned by venues. There are more expensive LED wash lights and there are cheap and cheerful designs, the R2 fits somewhere in between and makes for a good study. Without repeating the manufacturers marketing guff, the R2 is a RGBW (Red, Green, Blue, White) moving wash with a wide zoom range and light sources comprising of nineteen 15W RGBW LEDs, controlled in five zones. The fixture can be set to range of modes and has some level of ‘pixel’ capability but only to the extent of these zones. The user interface is a colour non-touch OLED display accompanied by the common Menu, Enter, Up, Down buttons, so one of the simple but functional interfaces. The fixture has DMX In and Out on both XLR5 and XLR3, plus PowerCon In and Thru. 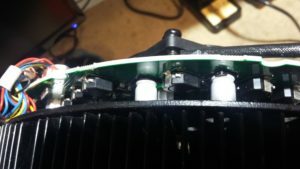 The PSU is mounted in the base, the main board is in the yoke, and the driver board is in the head itself. It’s a LED moving wash light. Not much more I can say. An affordable workhorse that flings coloured light about the place in a generally pleasing manner. Being a simple wash light, the key maintenance point for the R2 after keeping it clean on the outside is cooling. 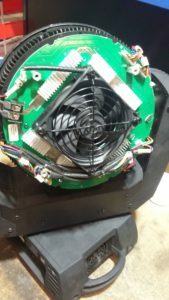 Keeping the large fan, fins and vent at the back of the head free of gunk, and similarly the cooling system in the base of the fixture – where the power supply is situated. This is the key routine service task with the period between servicing rather depending on how hard life is for the fixture. In a busy hire stock, the unit will see some serious action week to week and the service intervals are suitably short. In general, there is very little to keep fettling with on an moving LED wash light other than keeping the thing clean and able to stay cool. There aren’t a ton of service points, optics to polish, or lots of complex mechanics to worry about. The fixture is fairly light weight so the Pan and Tilt mechanisms are untroubled by their respective burdens and the zoom system isn’t that complex or particularly fragile. In general use, these bits just work. I have identified a not-so-obvious service task that may not be on the owners agenda, but we’ll talk about this later as part of the common repairs and how they can perhaps be avoided. Let’s be clear. This isn’t a review of the robustness of the R2 Wash nor a hatchet job on Chauvet kit. 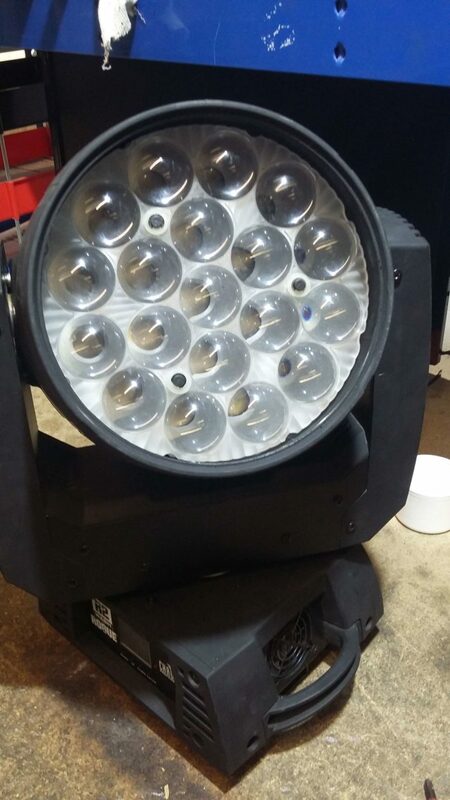 We are looking at common issues when owning these fixtures as a demonstration of the kinds of things we are now faced with running LED based stage lighting fixtures. With that little disclaimer out of the way here is, in no particular order, some common issues experience running a stock of R2 Washes. Usually the simplest to fix. A niggle and potentially a load-in stopper, the Menu, Up, Down and Enter buttons can get gunked up and stop working. The buttons are the only way to interface with the fixture and it’s not fun trying to set a DMX address with no Down button, and no Enter button makes it game over. The interface buttons start to become a bit finnicky and at this point are just an annoyance, but eventually they can stop working. The fix usually just requires removal of the Screen and Interface PCB and carefully aiming some contact cleaner into each push button before wriggling the button around in its housing. 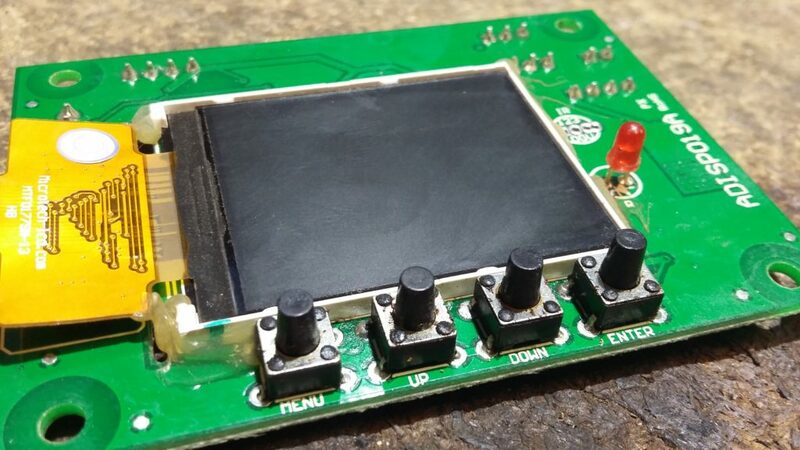 I suggest steps are taken to avoid getting the cleaner onto or into the screen and that removing the PCB is the best method, rather than trying work with it in situ on the base panel. If the button cannot be revived with some switch cleaner, then it needs to be replaced. A common issue, and one that can be mitigated with some additional service routines at suitable intervals. Firstly, lets look at where the LED drivers are and what they do. 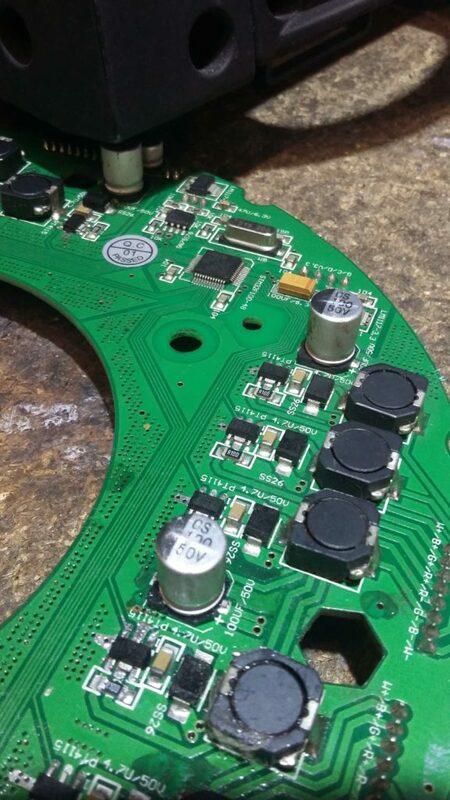 The R2 Wash LED driver board is a ring shaped PCB fixed to the back of the head. A fan on the back of the PCB drags air through the fins around the centre of the unit and the PCB also has it’s own heatsinks to help cooling of the driver components. The components are an array of fairly simple circuits based on the PT4115 PWM driver, each driving one of the RGBW LEDs. This board is populated by Surface Mount Devices (SMDs) and in places has some fairly close tracks and pads, while the whole thing is facing into the fixture situated in a place where ‘bad things happen’ regarding air flow, crud, and haze fluid residue. LED driver components in situ. One common fault with R2s coming back off the road is a low level bleed of an LED cluster even when the fixture is meant to be in blackout. This is an indicator of the onset of the R2s Achilles Heel: a dirty driver PCB. Conductive gunk can gather at certain points in the board and start confusing the driver circuits or control signals. In the worst case, a build up can fry one of the PT4115s. With luck, these problems with the driver won’t go on to send nasty stuff to the LEDs themselves as dealing with a zapped LED a lot more work – as we’ll see later. 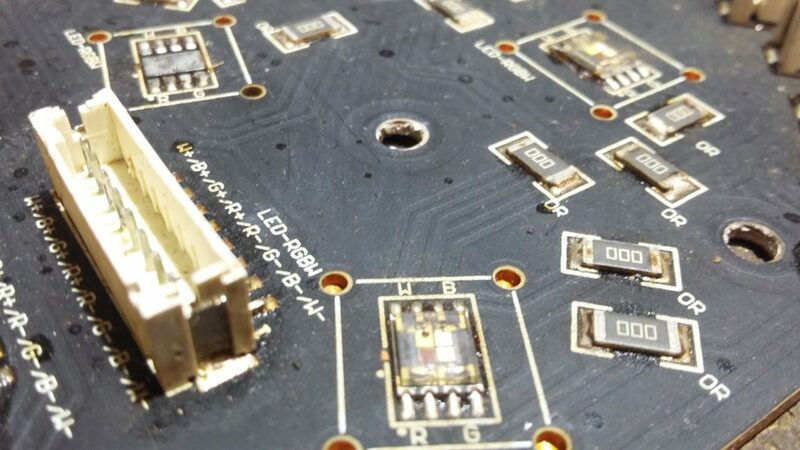 Issues with the dirt build up on the LED Driver PCB can lead to track and solder joint corrosion which again can stop the LED drivers working properly. For this reason, I suggest that removing and cleaning of the LED driver PCB becomes a routine in the service schedule. Not every service, but often enough during the fixtures life to catch the problems associated with this issue before they start. Just take care not to knock one of the SMD electrolytic capacitors off the board while cleaning the PCB – luckily I can say that this hasn’t happened to me but I can see how it could. When it comes to repairing a faulty LED driver board, the whole board from Chauvet isn’t all that expensive and oftentimes there is little point spending a lot of time tracing a fault and trying to make a nice job of swapping out a PT4115 properly because you need the right tools to do it and the consequences of making a bad job of it include zapping an LED which is a whole other world of pain and expense. You can hope it’s the LED driver and certainly that is the ideal situation because it involves the least dismantling. Verifying this can be as simple as swapping the driver board for another known good one – if the problem goes away then great. On this particularly model, there is also potential for swapping the multipin headers running from the PCB to the LEDs themselves which can verify if the issues is with the driver board or something else. I’ve not yet ever found a problem with the wiring loom. If it’s not the driver board, it’s probably the LEDs themselves. RGBW LEDs in place on the LED PCB. The RGBW LEDs on the R2 are right in the middle of the fixture. 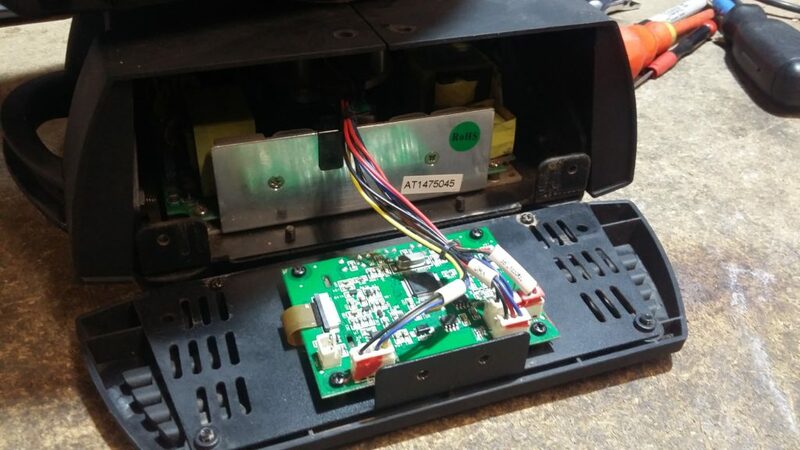 In order to even look at them, you have to take everything off including the front cover, the lens, the optical condensers, the zoom motors, everything on the front of the fixture has to come off to reveal the LEDs and the loom terminations on the LED PCB. There is quite a lot of parts, screws, posts and other bits and pieces that all need to be carefully removed. Once in, we can check the LEDs in circuit using a multimeter. Each 8 pin LED chip contains 4 LEDs and with the MM set to diode mode and the correct polarity you can get Red, Green, Blue and White LEDs to light a tiny amount using the small voltage from the meter. On these particular LEDs, the anode and cathode of each LED are adjacent on the same side of the 8 pin package and the colours are marked on the PCB. The first option is mega-expensive as a populated board with all new LEDs and other bits from Chauvet is not a cheap option. The second option is a little bit tricky for DIY and worthy of a whole other article, we’ll save this for the next one. The key maintenance and repair issues with the R2 Wash can be considered as a good indication of the kinds of things we now have to deal with owning LED moving light rigs, particularly failures of driver circuits and LEDs. The only thing we haven’t really looked at today is power supplies. This is actually because the R2 Wash power supply seems to have fewer problems than some (in contrast to the R2 Beam) and so it hasn’t featured at the top of our repairs list with the R2 Wash itself. Power supply issues are also much more of a feature of cheap and cheerful LED based products, so we should probably look at those another day. What LED fixtures have you got? Are there common faults that are particular to the fixture? Let us know in the comments below.